Victorious Kidss Educares has completed 19 years and has become the leading institution in the city. We are extremely proud of students who have completed their study from VKE and are moving ahead on the journey of making their career. Some of the ex-students of VKE have joined together to create the Alumni Network with the aim of keeping connected with the school and with each other. The Alumni network is growing fast. We welcome all our former students to join the Alumni Network. To join the Alumni Association please drop us a mail on alumni@victoriouskidsseducares.org. Below is the list of students who are currently active members of the Alumni Association. Param Gupta joined Victorious Kidss Educares as a fifth-grade student and graduated in 2015. He is a second-year student at Symbiosis Law School, Pune – pursuing a five-year integrated Art and Law undergraduate degree (BA-LLB). Niharika Prabhu completed her Diploma Programme from Victorious Kidss Educares and graduated in 2016. She is planning to pursue a Psychology degree from the University of the West of England. Esha Palande joined Victorious Kidss Educares in the 7th grade and was part of the VKE community up until her graduation from the 12th Grade. She is currently pursuing a B.Sc in Speech and Language Therapy and Audiology. Joanne Philip had been a student at Victorious Kidss Educares for two years, before graduating her Diploma Programme in 2015. She is currently pursuing a law degree from Indian Law School, in Pune. Sumiran Ardhapure has been associated with Victorious Kidss Educares since MYP-3. Currently, he is pursuing his graduation from Fergusson College, Pune. He intends to graduate with a Bachelors degree in Economics. Kiren Glover had been a student at VKE for nine years, from PYP III, before graduating in 2015, after completing his Diploma Program. He is currently pursuing a law degree from University of Kent, England. Ritika Saykar had been a student at Victorious Kidss Educares for nine years, from PYP IV, till she graduated her Diploma Programme in 2015. She is currently pursuing an architecture degree from Plymouth University, England. Shivansh Teotia joined Victorious Kidss Educares for two years i.e. the Diploma Programme. Currently, he is a studying Computer Engineering from Dhole Patil College of Engineering, under Pune University. 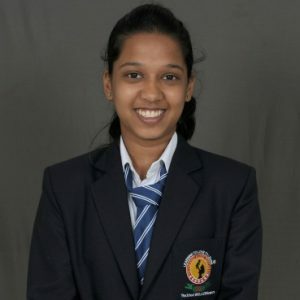 Shruti Gundecha has been a part of Victorious Kidss Educares since she was a seventh-grade student and graduated in 2015. She is a second year student at BNCA, Pune – pursing a four-year course in Digital Interior Designing. Yuvika Mayani graduated from VKE in 2015. She is currently studying Bsc. Advanced Zoology and Biotechnology at Stella Maris College, Chennai.